Men must beware of arising false accusations. For the past couple of years, countless amounts of women have come forward and faced the cameras in order to publicly report their past experiences with sexual assault and negatively life-changing encounters with powerful men, especially within the realm of Hollywood and the political system. The #MeToo movement, started by Tarana Burke, in an effort to help women of color speak up and face their predators in order to get the justice they deserve, has been brought back into the spotlight by many celebrities who have also experienced sexual assault or harassment and have used the power of social media to gain awareness of the rising issue. 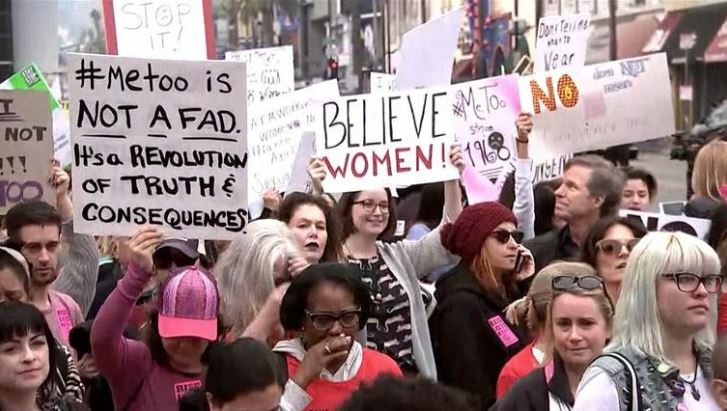 After the Hollywood scandal revolving around film and media producer Harvey Weinstein, the #MeToo movement gained substantial popularity, as well as with the imprisonment of Bill Cosby. The issue of sexual harassment has become more apparent and widespread than ever. women have taken so long to speak up about their experiences. For some, the situation has begun to turn around and victimize men rather than woman. No one said that men cannot be victims of sexual assault, but they are now seen as victims of false claims, and struggle to maintain both their reputations and livelihoods. Not only has Trump detailed his concerns for young men in America, but so has his son, Trump Jr. According to the Washington Post, after he was asked about the issues surrounding sexual allegations, especially with the accusations made against Brett Kavanaugh, and whether or not he is more concerned for his daughters or his sons, Trump Jr. replied, “Right now, I’d say my sons.” Although making false accusations is a serious issue, and occurs in the world of Hollywood and the government, the problems arising from women actually being sexually harassed is far greater than those concerning false claims.